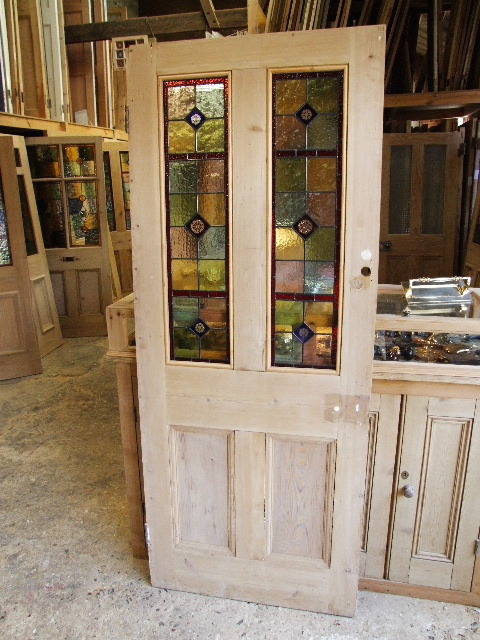 Reclaimed Victorian Stained Glass Front Door complete With stained glass panels. The panels have brilliant cut bristol blue florettes with a central ruby red chrysanthemum. The background colours are made from hand floated glass incorporating traditional victorian pastel shades of blues and pinks. If you wish to have your door painted or varnished an extra £216.00 will be added to the price.